Her Name Is Sylvia: Christmas Treats : Sharing this years recipes. I've never really been big into treats and making them for the holidays. It wasn't really a big thing in my family growing up. My mom was never a big baker, she only made her signature cake. Then I met Chris and his big Italian family! Everything is bigger when you're Italian, I've learned that. I love the tradition that Chris' mom continues to keep going in her family. She literally bakes so many different cookies for Christmas and sends them to family or for my father in law to take to work. I love it and with each passing year I get more and more into it. The first year Chris and I were together, I helped make one of her recipes. This year, I made four of my own!! 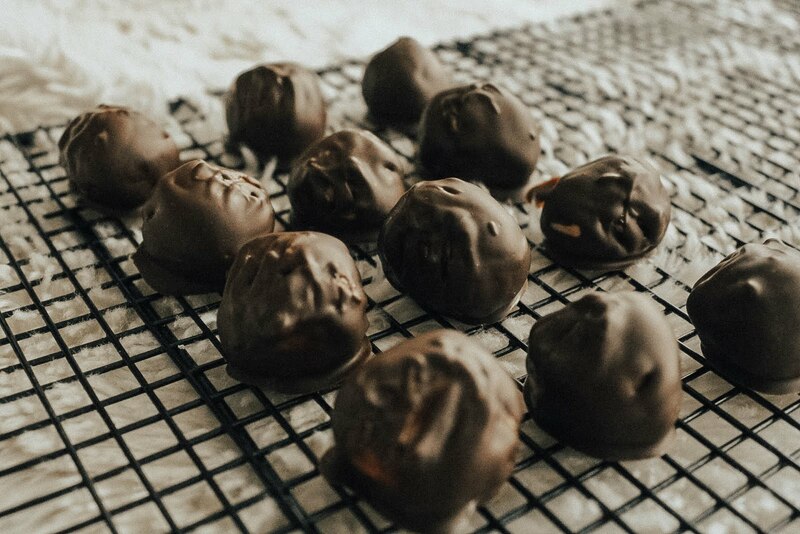 The best thing about the treats I made this year, were three of them were no bake! I like no bake, it's basically foul proof. All of them are quick and easy recipes and If I could do them so can you! I am a huge fan of iced cookies! I try to make them for every holiday, birthday or special occasion. To be honest, I have failed sooooo many times! The hard part is getting the royal icing at the right consistency. Each and every time I have failed and made the icing too runny. 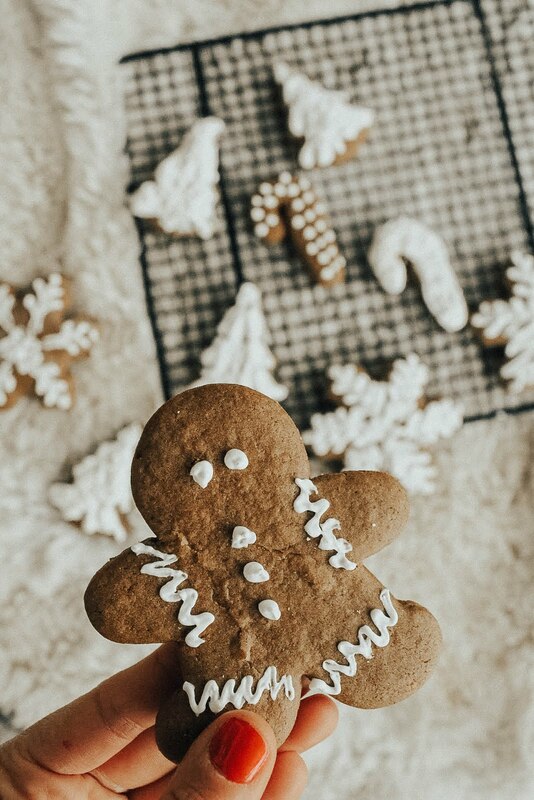 This Christmas I decided to try making gingerbread cookies. I have to say, I LOVE the way they turned out. The icing came out really good, consistency was on point, which made decorating easy! 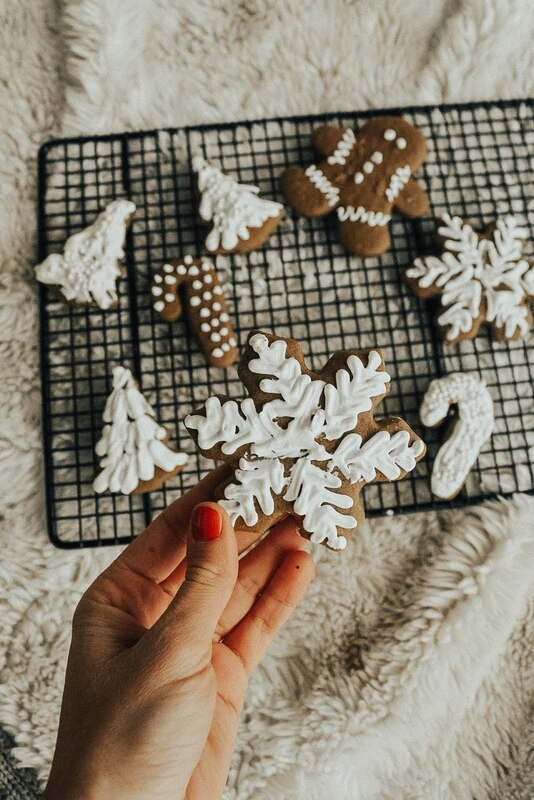 I love these gingerbread cookies, they have a really rustic feel to them and make for a pretty decoration on the dessert table. 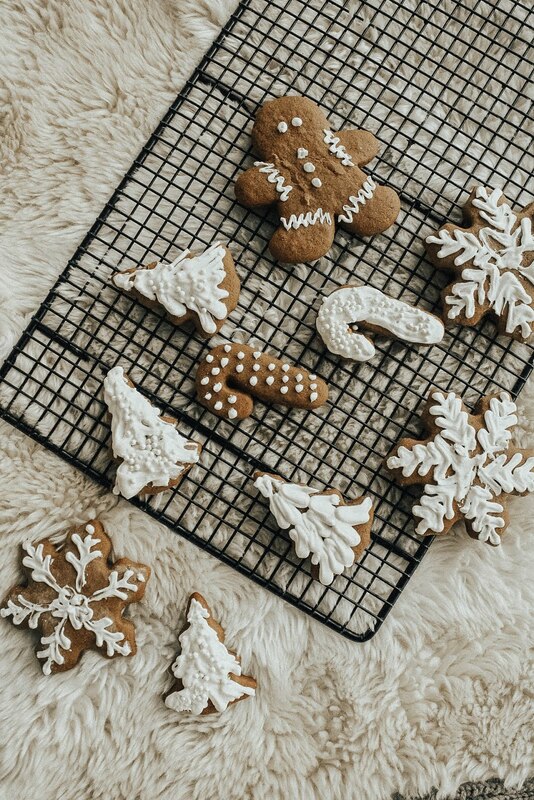 You don't have to stick to the typical gingerbread man. I decided to only have a few of those guys and add some snowflakes, christmas trees and candy canes into the mix. I have fun making them uniquely different. I polka dotted some, swirled some and added some white pearl sprinkles for an added touch. You can find the recipe I used for the cookies here and the recipe for the icing here. Next up, these DELICIOUS! 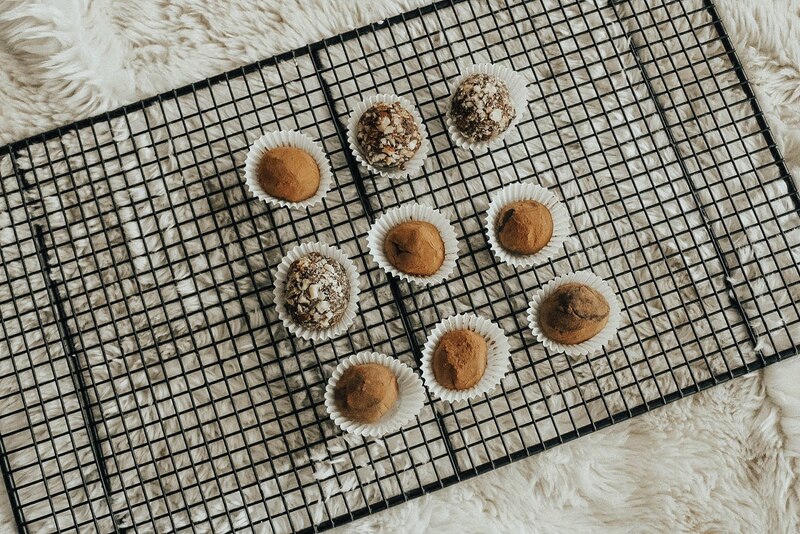 Nutella truffles. So many of you requested these when I shared them on my Instagram stories. You guys, these are so good, so easy and all I have to say is you have to make them. Making the chocolate ganache took all of 10 mins, you refrigerate for a few hours and then roll your balls! EASY! I coated mine in cocoa and some in chopped hazelnuts. One suggestion I have when you are rolling your balls. Scoop some out with a spoon, wet your hands with water and coat them with cocoa and hand roll them. I tried using a melon ball and they were getting stuck so I found that using my hands was fastest and easiest. 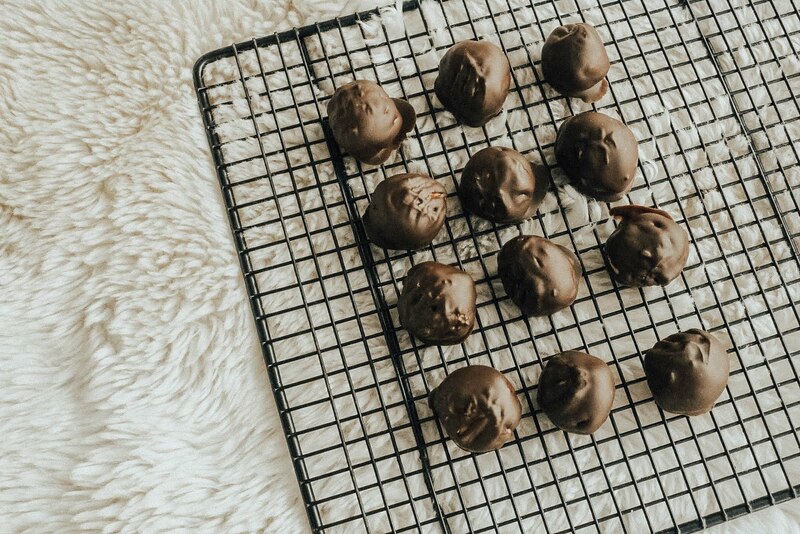 You can find the recipe I used for the the truffles here. I was on Instagram the other day and saw Joanna Gaines post these on her stories. I had to try them! I love peanut butter and I LOVE ritz crackers. I was a little hesitant because I've had terrible luck covering things in chocolate in the past. But thanks to a dear friend, that has changed! 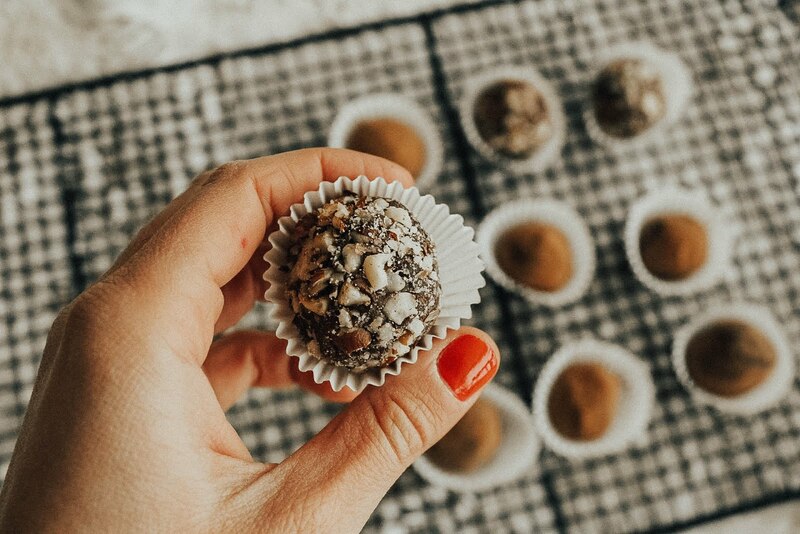 My friend Danielle of Pineapple and Prosecco Told me that all I need to do is add a little vegetable oil to my chocolate to thin it out! Literally this has changed the came for me! Which is why I covered everything in chocolate this year. These are very easy too! I didn't even follow a recipe for them. First, Make your ritz peanut butter sandwiches. The more peanut butter the better (I think). Next use a double boiler to melt your chocolate. If you do not have one, Use a pot and the same sized bowl, Add an inch of water to the pot and boil with the bowl on top. Once boiling switch flame to the lowest setting. Melt the chocolate, As the chocolate is melting, add Veg. oil to make the chocolate smooth. Line a baking pan with waxed paper. Covered your crackers with chocolate (use a fork to dunk and shake excess chocolate off). place on waxed paper lined baking pan and refrigerate. Keep refridgerated until you want to eat. I love these little treats, I mean I can eat so many of them! I really have to control myself. I am a huge peanut butter fan. 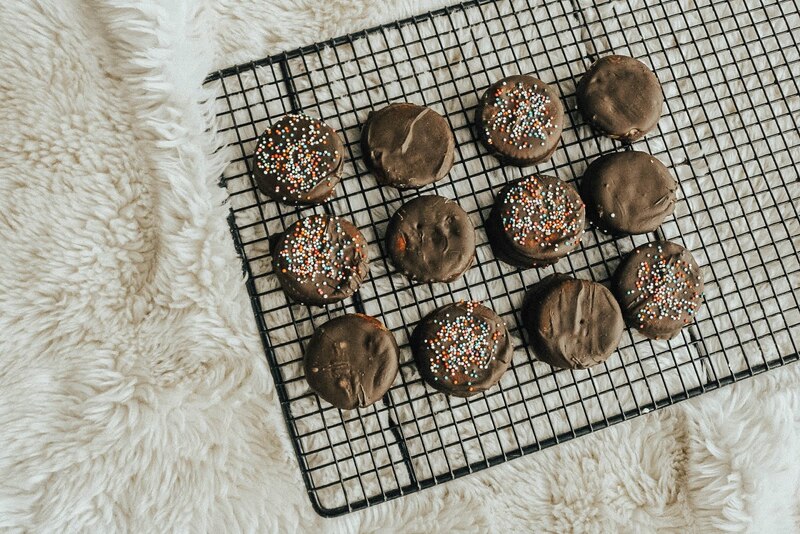 These treat are the easiest and take little to no time to make. I made a big batch of them. make sure you use do the chocolate trick I mentioned in the previous recipe for melting the chocolate. Happy baking friends and make sure to let me know how your treats turned out!